Here you have many faces for graphic Design today we will discuss in our blog different aspect of grapic design from the eye of graphic designer. There are plenty of job opportunities in the market today for a Graphic Designer. A graphic designer communicates visually through the use of typography, photography and illustration. Graphic designer creates symbols, images and text to deliver ideas and messages. 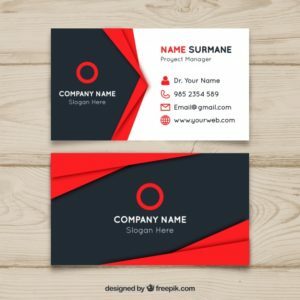 Fields where Graphic designs are used include Corporate design, editorial design, environmental design, advertising, web design, communication design and other. Graphic design helps in selling a product or idea. Logo, colour, packaging and text are part of creating a brand identity. Graphic Designers plays an important role in a branding team. From Story books to Newspaper, the display of opinion and facts can be improved with graphics and visual information. A skilled designer work hard in stylization of a text. He / She deals with art and technique of arranging type (Typography) to make written language readable and appealing while display. Graphic designer should have good skill of communication. Graphic Designer working on digital computers needs to be more skilled in image-making, typography and layout. The field of Graphic Design is growing and the demand for specialized and skilled designers is high. From making a product visually attractive to launching it into the market for customer satisfaction need understanding of the demand of customer. Marketing of a product depends upon People’s need, awareness and satisfaction. People always find visual content more attractive and engaging. A company can promote and communicate more effectively through graphic design. The Marketing Designer works with company owners, directors, managers or marketing professionals to create assets for marketing strategies. Even custom T-Shirts can help the companies in building a brand identity. T-Shirts carry the brand message in a more casual and friendly way. A well designed T-Shirts with Logo or company name catches the attention of masses more easily. 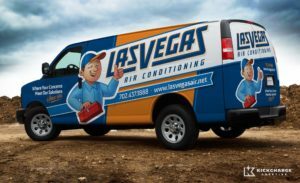 Vehicle advertising or Vehicle Wrap is the most economic form of outdoor advertising. By using proper colour, Image, Logo design, photograph in vehicle warp; the message becomes attractive. Marketing Designer should have problem solving attitude, excellent communication and time management skills. Thoughtful combination of Text and Image to support the content; is an important part of Publication Design. Books, Newspapers, Magazines, Annual Reports, Directories, Newsletter and Catalogues fall under Publication Design. 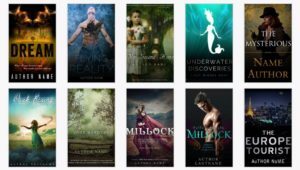 Sometimes we buy books by looking at its cover; the cover of a book communicates a story and message through colours, fonts, images, symbols etc. For Research report, Graphic Designer can display data through charts or Info-graphics whereas for Alumni Magazine designer adds illustrations to make the article catchy. In Publication Designing, the print materials should be on time, on budget and without complication. Skilled Graphic Designers work with Editors and Publishers to create Layouts with selected Typography, Photography, Graphics and Illustrations, infographics. Designer should take care of Footnotes, Folios or Active links for a web version, copyrights, photo credits and many more in Multi-page layouts. The Stationary items help to popularise business. Things like Letterheads, Business Cards, Folders or Envelops etc. Shows professionalism and make impression on clients. A correctly and creatively done packaging draws attentions, sends message and sells product to the customer. All products need packaging for storage, distribution and sale. 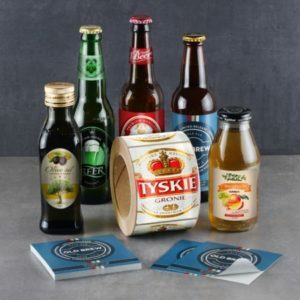 Packaging Design is a valuable marketing tool, as it communicates directly with the consumer. Each and every box, bottle, bag, can, container tells the story of a brand. A Catchy Label Designing of a product; differentiate it from other product in the supermarket. Label Designing includes the information of its maker, manufacturing and expiry date, ingredients, warnings etc. In Packaging Industry, many types of symbols are Nationally and Internationally standardised. Such as a green dot convey that the packaging can be recycled. Packaging Designers should have expert knowledge of print processes and a eager understanding of Industrial design and Manufacturing. Packaging Designer should be Bold, Creative and Think out of the box. 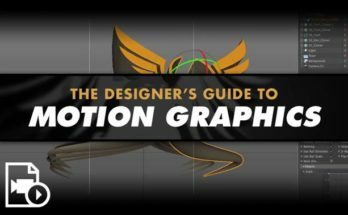 The Graphics in motion are called Motion Graphics; such as animation audio, typography, Imagery and Video. For example Kinetic Typography and Graphics used in film and television opening sequences, three dimensional station identification logos of some television channels. Motion Graphic Designs are used by motion graphic designer in openings of Movies, Television Shows and News Programs to make the introduction more entertaining. 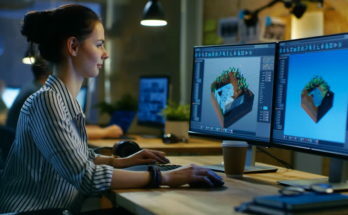 Computer Software like Adobe After Effects, Adobe Flash and other helps to create Motion Graphics. 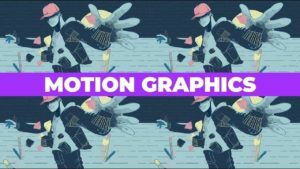 Motion Graphics can be used in the:- Title sequences and end credits, Advertisements, Animated Logos, Trailers, Presentations, Tutorial videos, Websites, Apps, Video Games and Banners. Visually connecting people to places to improve their overall experience by making spaces more memorable, interesting, informative and easier to navigate is the work of Environmental Graphic Designer. This section includes elements of graphic design, architecture, Interior design, landscape design and industrial design. Environmental Graphic Designers activate places and create efficient navigation solution. Providing signs in the environment is an old art, as cave men used to tell stories through paintings on the walls of their caves. Types of Environmental Graphic Design includes- Signage, Wall murals, Museum Exhibitions, Office Branding, Public transportation navigation, Retail store interiors, Stadium branding, event and conference spaces. 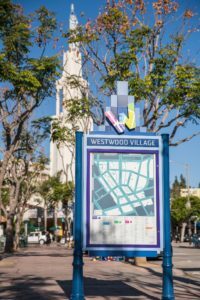 The ‘Way finding’ type of environmental graphic design consists of strategic signage, landmarks and visual cues that help people identify where they are and where they need to go without confusion. Sign Boards, Kiosks or Maps in Hospitals, Museums or any public places proved to be great help for the common public to find the appropriate place where they want to go. At present situation we cannot think life without Mobile Phones; we spend a lot of time on apps. 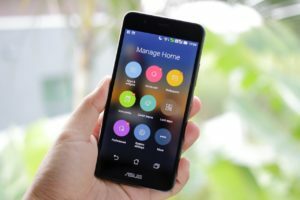 Mobile App Design makes an App Successful. Professional mobile app designer knows how to design an app with elegant interface, perfect icons and colourful art. The User Interface (UI) design focuses on the user’s visual experience and the design of on-screen graphic elements like buttons, menus, micro-interactions and more. UI designers become specialize in Desktop Apps, Mobile Apps, Web Apps and games. They work together with User Experience Designers (UX) who decides how the app works and with UI Developers who write code to make it work. Types of User Interface Graphic Design are- Web page design, Theme design, Game Interfaces and App design. Along with Graphic Apps UI Designers need knowledge of programming languages like HTML, CSS and Java Script. Hope you all got the idea how this arena of career can be. So come and connected with our expert counseling team to advise you on right career just a call away @9836321595.